hard to beat. 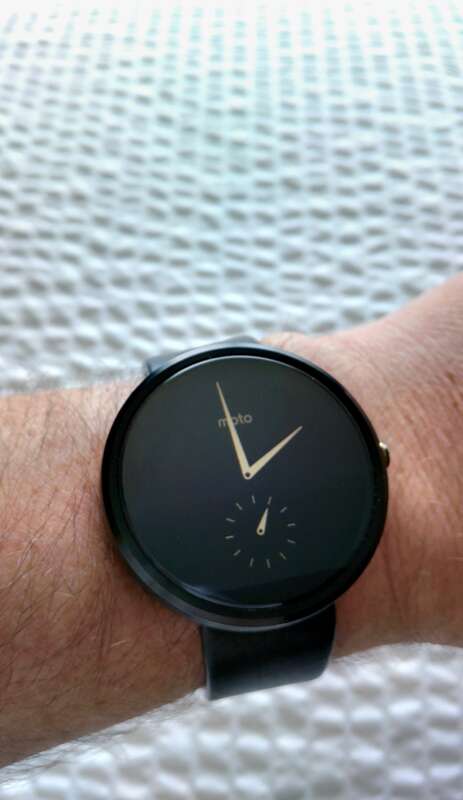 I’ve been wearing a Moto 360 for months and I love it. Couple that with the massive improvements that Google made in the Android Wear 1.3 build, I easily get a full day out of the device which provides me news, updates and reminders all without ever having to take my phone out of my pocket. Google is offering the Moto 360 with either the black leather band or the stone leather band and they are both the same price. Shipping of the smartwatch is also included and orders are taking 1-3 days to be fulfilled by Google before they are shipped. If you ordered it today, you likely would have it by mid-week here in the US. If you are looking for a great smartwatch or wanting to give one as a gift, this deal from Google on the Moto 360 is certainly one to consider.